Water shortage is in the offing and it is likely to decide the fate of the agriculture industry in California. When this happens, the drought will surely affect the various farms that are scattered all over the state. 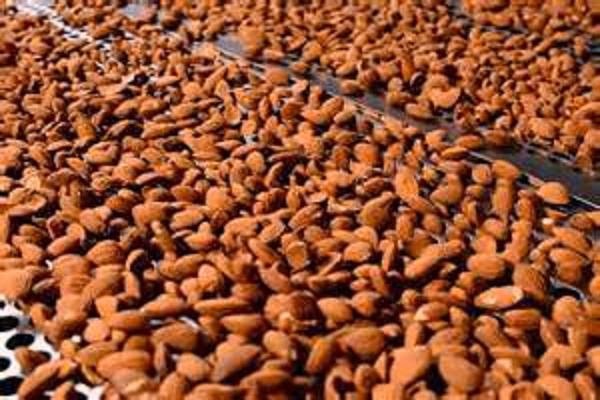 At this writing, growers of almond nuts are already feeling the pinch and they have doubts that almond production will be reduced to a certain level. At the moment, about 82 percent of the world's demands for almond nuts are sourced out from California. It is likely that when the supply is low, demands for this type of nut will be high. But in the absence of sufficient supply to satisfy the markets, prices of almond nuts will go up, too. In a study made by the University of California, it suggested that almond trees should be supplied with water to meet their full water requirement in order to attain maximun growth, yield and crop quality. The same study revealed that if water availability is limited, growers can react by applying irrigation water when trees are most sensitive to stress and by taking measures to minimize water losses that occur during irrigation events. "Supplying less water than the trees can potentially use reduces soil water availability, causes tree water deficits, and reduces transpiration," the UC study added. Lack of water supply affect almond orchards not only in the year in which stress occurs, but also in the following seasons. As a result, nut size is reduced in the first season of significant water stress, the study cited. Likewise, "water stress also reduces vegetative growth and potentially decreases productivity per unit canopy volume and nut load can be reduced in subsequent years. Recent research showed that some stages of almond fruit growth are more sensitive to water stress than others. Understanding these stages permits growers to withhold water while minimizing damage to trees and to current and subsequent crops." But the question is: Will there be enough water to irrigate these acres of almond tree plantations in California? According to California's Department of Water Resoruces, the state of California receives an estimated 200 million acre-feet of water from precipitation and imports from Colorado, Oregon and Mexico. About 50-60 percent either is used by native vegetation, evaporates to the atmosphere, provides some of the water for agricultural crops and managed wetlands (effective precipitation); or flows to Oregon, Nevada, the Pacific Ocean, and salt sinks like saline groundwater aquifers and the Salton Sea, it reported. The DWR further said that the remaining 40-50 percent, or dedicated supply is distributed among urban and agricultural uses, water for protecting and restoring the environment, or storage in surface and groundwater reservoirs for later use. "In any year, some of the dedicated supply includes water that is used multiple times (reuse) and water stored from previous years. 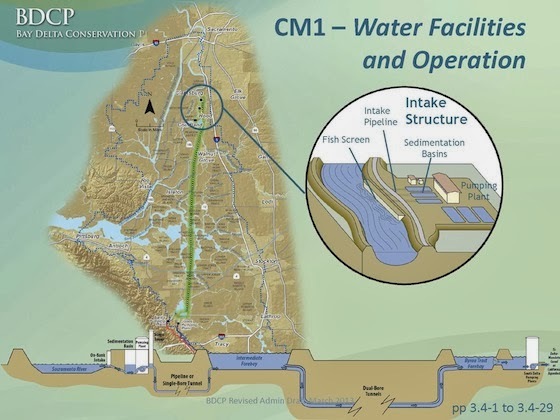 Ultimately, about a third of the dedicated supply flows out to the Pacific Ocean, in part to meet environmental requirements, or to other salt sinks," the DWR cited. 750,000 acres of iirigated farmlands. Central Coast, and Southern California. 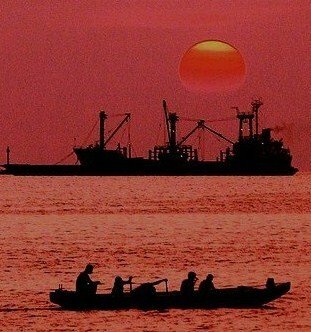 However, the state's agricultural water supply, which comes in large part from a vast estuary northeast of the San Francisco Bay, will suffer the consequences brought about the impending impacts of a natural calamity such as an earthquake or rising sea levels. According to an article that appeared on the website of www.theverge.com, it pointed to Sacramento-San Joaquin River Delta, which currently relies on old levees could crumble when a disaster occurs. It cited experts as saying that a large-scale collapse would put the state's water supplies in grave jeopardy, and in turn impact the entire country, which relies on California both economically and for a large amount of its food. In response to the impending risk, California's Governor Jerry Brown, in conjunction with various state agencies, offers a potential solution by boring two massive tunnels to subvert the levees entirely, while simultaneously attempting to help endangered species through large-scale habitat restoration.